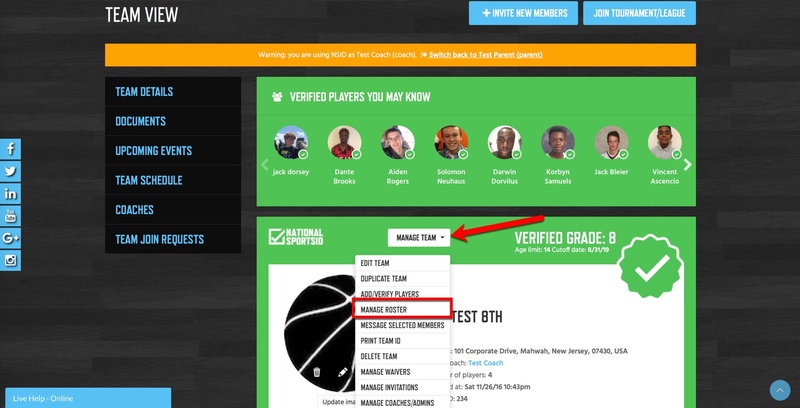 Coaches can easily create an official verified roster of your team so it can be submitted to the tournament or league you are participating in. 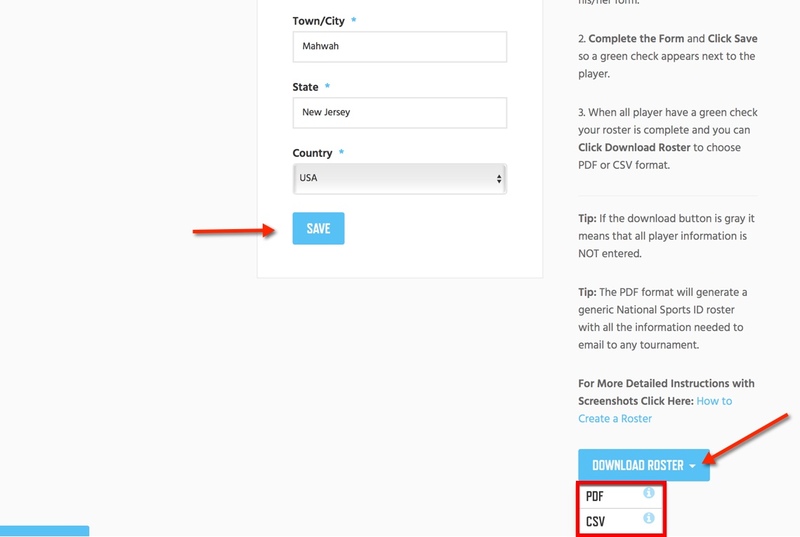 Just follow the instructions below and you can generate an official verified team roster with all the information that tournaments and leagues require. Click Edit Under Player to Enter all Missing Information. Click Save if Player’s Info is Complete till all have Green Checks. Click Download (You cannot Download till all have green checks). Choose the Format You want Roster to Be In. 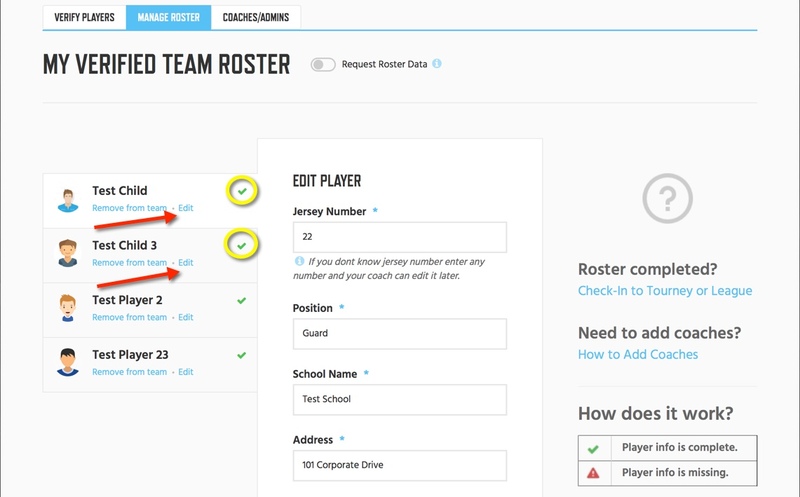 NOTE: When you check-in to a tourney/league your roster is automatically submitted to the organization’s director.